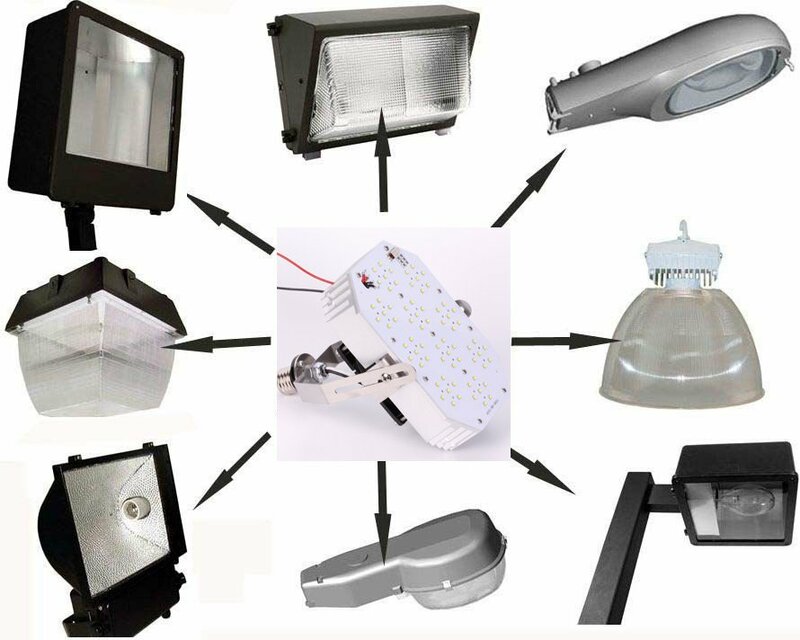 Economy, high quality 120W, 14,082 Lumen, Metal Halide to LED Conversion Kit easily replaces a 320W - 400W HID. A 15 MINUTE LED SHOEBOX RETROFIT KIT, OR ANY METAL HALIDE TO LED CONVERSION KIT, FOR 95% OF ALL HID FIXTURES. 100,000 hour life compared to 50,000 hours of most LED retrofits! A simple installation, in most cases involving our Metal Halide to LED Conversion Kit a quick mounting bracket kit is included, making this LED Shoebox retrofit kit about a 15 minute job. Color Temp. 4000K / 5000K / 5700K NOTE! 5700K is standard on the 120W, others Special order! A surge protector is HIGHLY recommended when using these for LED Street Lights Retrofit kits! This Metal Halide to LED Conversion kit can be used in a variety of fixtures, and are the perfect LED Shoebox retrofit kit.